The recently announced Rise of the Tomb Raider: 20 Year Celebration edition coming to PS4 features new DLC, co-op support, and a very familiar cover. It's no secret that the Tomb Raider and Uncharted games have gone back and forth taking ideas from one another, but this one crosses the line. 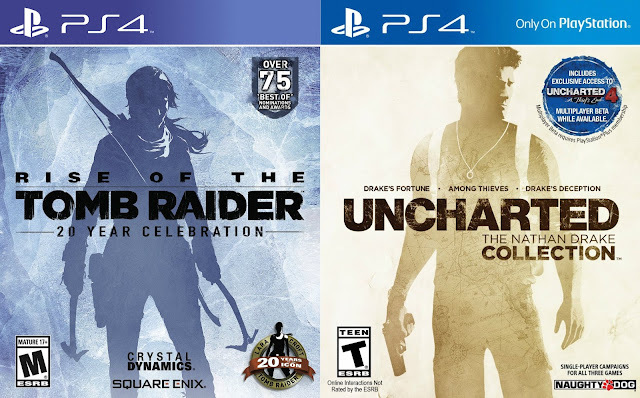 The 20 Year Celebration cover features a nearly identical text style and character silhouette as the 2015 release Uncharted The Nathan Drake Collection. They say imitation is the highest form of flattery. If that's true, take a bow Nathan.